I know 4th of July has already passed us by but I thought I'd share one of the games I made for my kiddos this year to celebrate any patriotic holiday. Who knows? Maybe you can use this for Labor Day as it seems this summer is flying by and will soon be upon us! 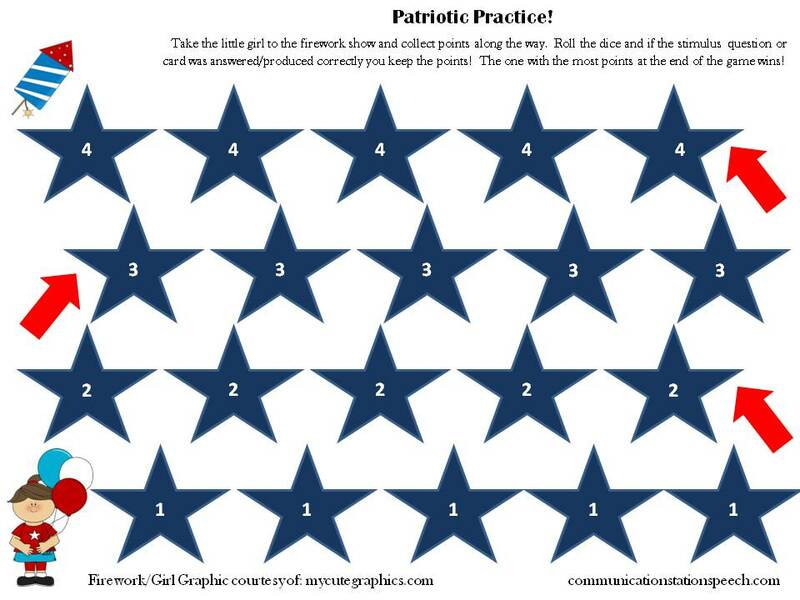 Patriotic Practice is a simple game mat you can play with one or several players. Just grab a few game pieces a dice or two and begin! For the older kiddos I can think of a few ways to make this even more interesting with losing points or "stealing points". I bet you can think of some more!! !